Dentists play a vital role in looking after your health at every stage of life. Aura Dental in St John’s Wood offers bespoke dental care for patients of all ages, and our dentists will work closely with you and your family to create a fully customised treatment journey no matter what your needs may be, designed to keep your smile healthy and happy for life. You should bring your child to visit the dentist from an early age. The dentists at our St John’s Wood clinic are highly experienced in working with young patients and will work hard to ensure that every experience your child has of the dentist is a positive one. This can help to prevent dental phobia later in life. Dentists can provide preventative treatments such as fluoride varnish or fissure sealants to help protect and strengthen children’s teeth. They will also help to explain the importance of proper tooth brushing to children, and to spot any early warning signs of decay. The teenage years often involve orthodontic treatments. There are other specific dental issues that can affect teenagers, however, and our St John’s Wood dentists can help with all of them. Wisdom teeth often appear during the teenage years, whilst teenagers also have a bad reputation for high-sugar diets and drinking lots of fizzy drinks, which can lead to tooth decay and enamel erosion. Regular visits to the dental practice are essential to keeping your teen’s teeth healthy and strong, and to helping them understand the importance of diet to dental health. Dental check-ups are vital to adults, with most people advised to attend every six months. Some groups, such as pregnant women or those with weakened immune systems, need to visit more regularly. Cosmetic dental treatment is also increasingly popular with adults; our St John’s Wood dentists offer a wide range of aesthetic procedures. Whether you have kept all your natural teeth or have full dentures, you still need to visit your dentist regularly as you get older, to keep your mouth healthy and your teeth functional. This entry was posted in Teenagers on 31st August, 2016 by Aura Dental. At Aura Dental in St John’s Wood we have a unique collection of dentists and dental professionals who welcome patients of all ages. Good oral health care is important for all the family, and different age groups often have specific care needs. Here, we look at how the dentists at our St John’s Wood practice can help various groups, by looking at the common health concerns they may experience, and what we can do to help. . .
Finding a good dentist for your child is important, as it has been shown that dental anxiety can often develop from a negative experience during childhood. Whilst it may be true that some dentists aren’t great at working with children, this is definitely not the case at Aura Dental. The dentists at our St John’s Wood practice are highly experienced in working with young patients, and will ensure that your little ones feel safe and secure at all times during examinations and treatment. Dental hygiene advice, such as the importance of brushing your teeth properly, will be delivered in an age-appropriate, fun and educational manner. Our St John’s Wood practice also offers preventative treatment for children, including fluoride varnish and fissure sealant. The teenage years are exciting but can also be emotional, with social pressures, exams, and decisions about the future. At our St John’s Wood clinic our dentists will work with teens to ensure their oral health remains in good condition as they move towards adulthood. Problems such as eating disorders (which affect both boys and girls) can lead to enamel erosion, while exam stress can cause night-time tooth clenching. Early intervention can help in both of these situations, and dentists can play an important role in spotting such conditions early. Our St John’s Wood clinic also offers a full range of orthodontic treatments, including discreet appliances for self-conscious teens. Large increases in the hormone progesterone during pregnancy can increase your chances of developing gum disease. Enamel erosion can also be a problem for pregnant women because of morning sickness. Our St John’s Wood dentists can help combat these problems. This entry was posted in Teenagers on 1st July, 2016 by Aura Dental. 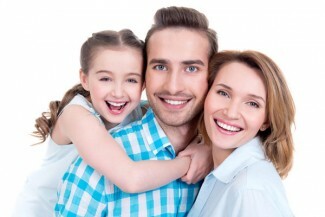 At Aura Dental in North London we believe children should visit the dentist from an early age. Regular visits to a dental practice help to maximise the chances of your child maintaining good oral health habits for life, as well as enabling us to spot any problems early so that they can be treated promptly and, in most cases, with minimal intervention. Teenagers also require special dental care to ensure that they maintain good health and habits as they mature. The teenage years are often when orthodontic treatment is carried out, which sometimes clashes with a time at which young people start to feel increasingly self-conscious and anxious about their appearance. At our North London dental practice we offer a number of discreet orthodontic treatments that are invisible or nigh-invisible to the untrained eye. In some cases these will be the best option for teenagers. At Aura Dental in North London we recommend bringing your children in to see the dentist as soon as their first teeth start to appear, which is on average at the age of 12 months. Of course, some babies are born with teeth, and your dentist will be happy to advise you on how to care for a very young baby’s teeth. By bringing your child to our North London dental practice from an early age, you will help them to see the dentist as a friendly face, which can help to prevent dental fear and phobia in later life. It also means that we can carry out a range of preventative treatments to stop common problems before they start. If we do find any treatment is required, the earlier it is carried out the better, as it is likely to be less stressful for both you and your child. At our North London dental clinic your child’s dentist will offer fissure sealants and fluoride varnish, which are preventative treatments designed to strengthen and protect the teeth. We can also spot any potential orthodontic problems (such as issues with the bite) early, which makes treatment easier. This entry was posted in Teenagers on 27th May, 2016 by Aura Dental.